In March, I received a text message from my Dad asking Grant and I to call into a conference number. It was the week before Spring Break so I figured it was about my Mom going up to Philly to visit family. When I got home I called the number and put my phone on speaker so Grant could hear as well. My Dad, Mom and brothers all beeped in. My Dad then explained that my Mom had something to tell us. "I am leaving for Philadelphia this weekend, however this time I am not going up to visit with family. I have been diagnosed with Ocular Melanoma. It is a very rare kind of eye cancer that only effects 2,000 people a year..." my Mom continued to explain the seriousness of her situation. This particular cancer does not have a high survival rate with the cancer normally metastasizing to the liver. If you don't know what Ocular Melanoma is I encourage you to look it up. Unfortunately, there is not much literature or research about this particular type of cancer. A few centers in the country are working on treatment and ways of find a cure. Philadelphia, PA just happens to have one of these hospitals/research facilities, The Willis Eye Institue. As I said earlier my Mom travels to Philadelphia, PA during the holidays to visit with her parents. Actually, a few visits ago my Mom took my Grandparents to church. When they walked into the church a large family had taken the pew that my Grandfather liked to sit in (he said it was "his" pew). He apparently made a fuss and then gave the family the death glare during Mass. My Mom was mortified and hoped she would never run into that family again. It just so happens that the doctor in Philadelphia, PA that is an expert on Ocular Melanoma, was sitting in that pew. God has a way of bringing people into our lives just when we need them. Of course my Mom was a little embarrassed during her first visit but the doctor and his wife did not even remember the incident. I don't believe that to be a chance meeting. I believe God was looking out for my Mom and this doctor was an answer to her prayers. There have been lots of tests, treatments and doctor visits since March. My Mom has gone through surgery and is still going through treatment. We did hear good news that the type of Ocular Melanoma that she has only has a 10% chance of metastasizing. My Mom's chances of living a long life are very good. While this is great news, I still ask for your prayers. Since there is not much research on this kind of cancer, we are in a fluid state of information. Thank you, to those who have been there for me and my family these last few months. I did not post this earlier because I was not ready to talk about it. I also did not feel right discussing this while my family was going through so much. 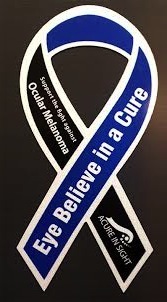 I hope you will take the time to look up more information about Ocular Melanoma. I recommend that you get a yearly eye exam (mine is tomorrow). Great post, Ellie. 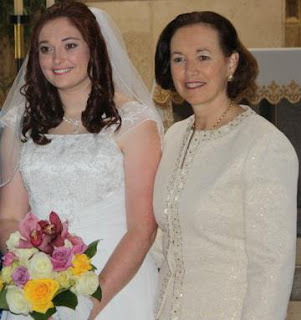 I'm thankful that Christ has shown Himself as God over your mother's situation. I pray that Christ continues to bring your family good news in this season of life, and that in all things He gets glory for what is taking place! My ocular oncologist lives across the street from my friend's parents--the very house where my family was invited for Thanksgiving last year because I was in the hospital for my radiation therapy. I'm doing well. I hope your mom is, too.